It can often be quite surprising how many of us take our skin for granted. If you have never dealt with a skin ailment during your life, you may not have any idea of the kind of issues it can bring up for a sufferer. We all have our health issues, but usually, we can keep them private. Skin conditions, however, are much more difficult to hide – simply because quite a lot of our skin is out for show much of the time. Our skin is delicate, and it varies in many different parts of the body. For example, the skin on your hands has adapted to wrinkle when immersed in water, to give you more grip in poor weather conditions. You will also find that the skin on your body is much less oily than the skin on your face because the body has far less sebaceous glands. That is partially why we have different products for use on our face than we have for use on our bodies – it’s all about caring for and preserving your skin. Excessively Dry Skin: If you have very dry skin, you may just regard it as ‘one of those things’, much in the same way that you may have curly hair or have brittle fingernails. But if you are experiencing any discomfort from your dry skin, you could have a problem on your hands (quite literally!). Dry skin is one of the leading causes of itchy palms, a condition that can be incredibly frustrating for sufferers and something that can possibly interfere with your sleep. Be mindful of how you react to your itchy, dry skin. If you are absentmindedly scratching it, you might be breaking the skin without realizing it. This can be incredibly painful, and can put you at risk of developing infections. The best way to avoid the incessant itching caused by dry skin is to keep your skin full of moisture, so invest in a good hand cream and a body butter to keep your skin supple and itch-free. Psoriasis: Psoriasis is a condition that relates to dry skin but in a much more serious way. Its main symptoms are red, flaky patches of skin across the body that are often covered with silver scales. These patches can be itchy or sore, and some people have more severe symptoms than others. Unfortunately, there is no cure for this condition, but there are things that you can do to ease the effects of it. If you think you may have psoriasis, visit your doctor, as they may be able to prescribe you medication or cream to ease some of the symptoms. 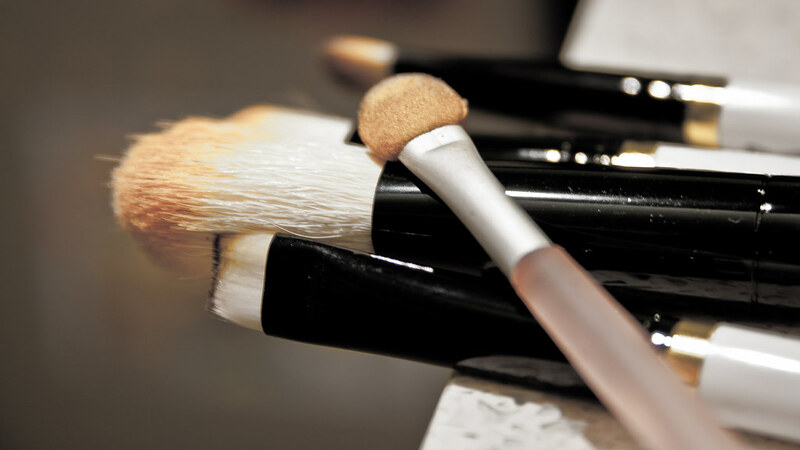 A good makeup brush is a must. Scabies: Scabies is often considered to be an illness of the past, normally associated with pirates living on unhygienic old ships! In reality, however, scabies is caused purely by tiny mites called Sarcoptes scabiei, which burrow into the skin, causing the itchy feeling. Scabies can develop and spread easily in environments where people are living in very close quarters with each other, which is partially why it is more common during the winter than the summer in most Western countries. It is not serious but can be uncomfortable, and can be worsened if you repeatedly scratch at the affected areas. So if you think you might have scabies, visit your doctor. He or she will most likely prescribe you a cream of sorts that contains insecticides, which will kill the scabies mites. Permethrin cream and malathion lotion are the two most commonly prescribed types. I am trying to drink more water too!! It can be really hard sometimes though!! Dermablend and cover fx make great cover creams for vitiligo. A great post!